I have 14 or 16 Turkey wings, primary only, sitting in the freezer. If any of you want them for feathers post here and I will pick someone at the end of the week and send them to you. Count me in for left wings. Thanks for the chance. Put me in - Thanks! WOW!! Please add my name. 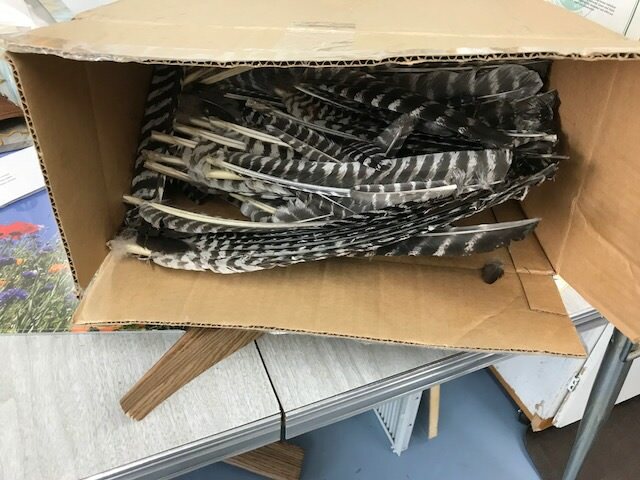 Chris - your feathers arrived safe and sound. I appreciate them greatly!! They are some nice feathers. Now I will have to get some ground up and chopped. Thanks again!